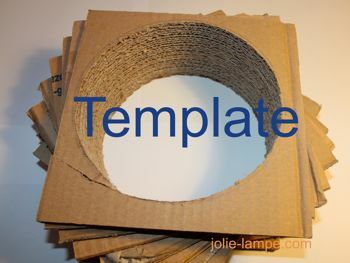 Create your template out of cardboard. 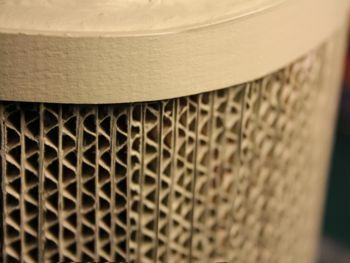 You can find corrugated cardboard everywhere (in the trash can) ! Corrugated cardboard costs 0 $ ! It's easy to work. 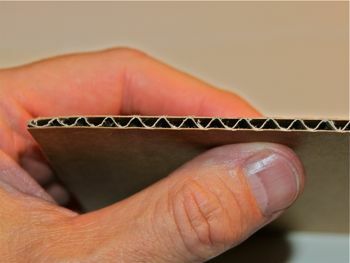 The different thicknesses of corrugated cardboard allow a lot of creative possibilities . I often create my templates out of cardboard to make my cardboard lamps. 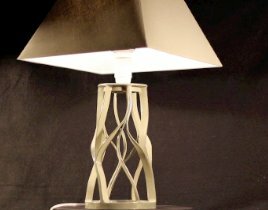 I can help you to create cardboard lamps with very cheap material. I hope that my website will help you to become more creative. This picture shows a cardboard lamp creation. 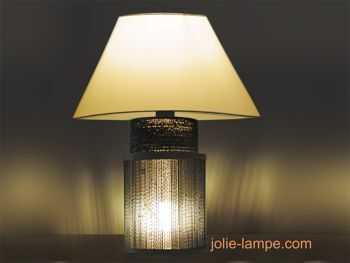 A lamp is inside the body and create a romantic and warm atmosphere. You can see my video which explain how to make it. Click on the picture to see my video. 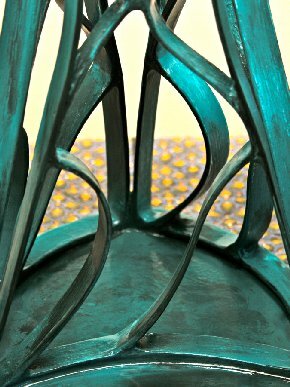 I like to create complex shapes out of corrugated cardboard. To succeed, I'm obliged to imagine special templates. This complex cardboard lamp body is illuminated: that's my favorite job. That's my speciality. 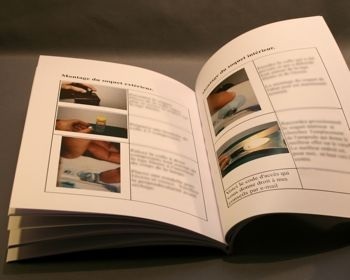 If you are intersted to understand more, download my documentation. My documentation contains a lot of pictures. I will give you my tricks. I will give you my secrets ! Click on the picture to see the available documentation. Understand how to curve the cardboard. Understand my secrets. Create these incredible cardboard shapes. Click here to see my video : a lot of cadboard work examples. Do exactly the same beside lamp for your children. This lamp is easy to make. 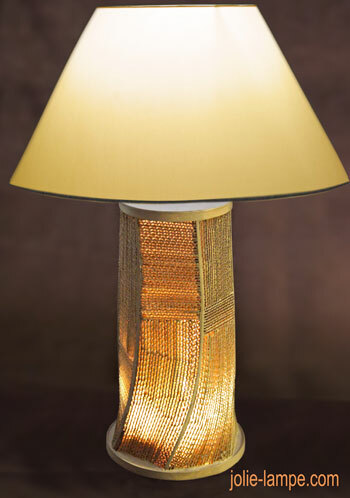 This lamp is made out of corrugated cardboard. 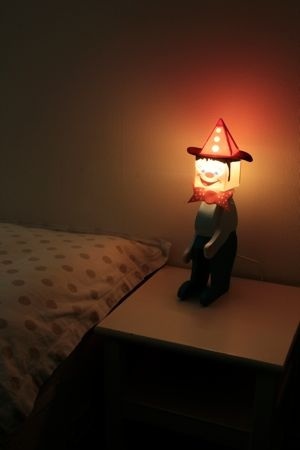 Download my tutorial to understand the 20 steps to manufacture this night lihgt lamp for kids.